Lucky Strike is on the strip outside AT&T Park & a great place to go after catching a Giant's game. Wait times can be long without reservations, but you can hit up the huge bar in front while you wait. 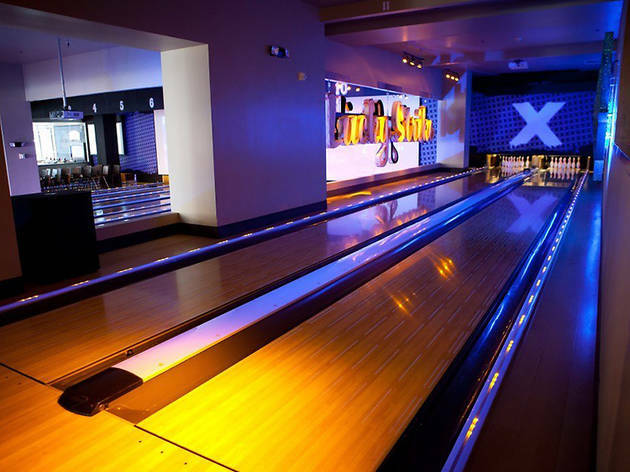 It's bright & lively in the front area & has a fun club vibe where the lanes are. The food is really good (order the wings!) & servers come around & take your food orders so you can essentially multi-task - eat & bowl - like a pro. 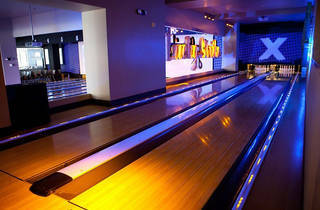 It's more expensive than your average bowling outing, but it's worth the money if you're doing it occasionally!